A ‘Jumbo’ rescue mission was launched in Sri Lanka after an elephant was dragged out to sea by strong currents. 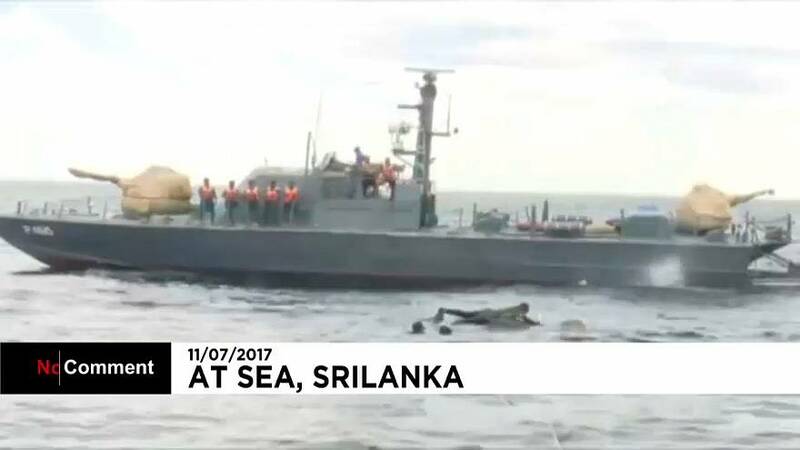 The animal was initially noticed by a patrol boat belonging to the India’s Eastern Naval Command about eight nautical miles off Kokkilai in Sri Lanka’s northwest. A second patrol boat and a team of navy divers were promptly dispatched to aid the distressed pachyderm and under the direction of the Department of Wildlife, they were able to bring the animal to shore, using ropes. The elephant has now been handed to wildlife officials who are hoping to find it a slightly dryer home.